Sarasota and Venice real estate buyers have a lot of questions. Our geography, topography, and real estate laws are likely very different from your current location. 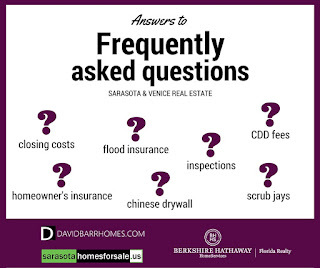 As a local Realtor since 2002, I have anticipated your most common questions and answered them on my websites: www.davidbarrhomes.com for Venice, and www.sarasotahomesforsale.us. Venice FL Real Estate: Should You Rent Before You Buy? 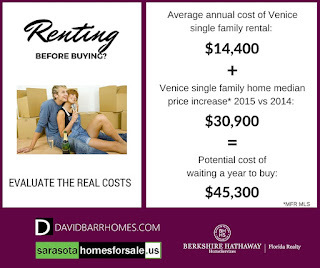 A lot of home buyers want to rent a home for a year in Sarasota and Venice before buying. 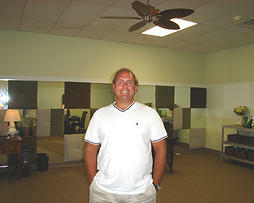 In a fast paced seller's market like we are experiencing here now, does that make financial sense? As a renter you can't recoup the out of pocket cost of an average annual single family home rental in Venice. Estimate $1200 per month, and $14,400 over a year. On top of that, the median sales price of Venice FL single family homes is increasing rapidly, going up $30,900 in 2015 over 2014. An experienced Realtor can help you narrow your real estate options based on your budget, needs, and lifestyle. My real estate website, www.davidbarrhomes.com, profiles 60 Venice FL neighborhoods, with free downloads of demographic reports and school grades and information. Contact me today to schedule a home tour in Venice or Sarasota.